I was raised in a house without alcohol. It wasn’t shunned in any way, it simply wasn’t there. I did my fair share of drinking in my 20s, as is customary, but the social drinking continued for my friends. I never liked the taste, and after my decade of various levels of occasional drunkenness, I slowed way down, and now I just don’t drink. As a result, I don’t enjoy being around it. Drunk people are only fun if you’re one of them. Alcohol and social drinking have been a pondering of mine for years. Why do people do it, really? And why am I considered judgmental for asking the question? Why is it a given that people almost always require alcohol to classify something as “a good time”? And why doesn’t it work that way for me? Aside from the fact my liver is pretty vocal in its objections, I just don’t feel like it is a good time when I drink. I always feel drained the next day, and it’s not physical. 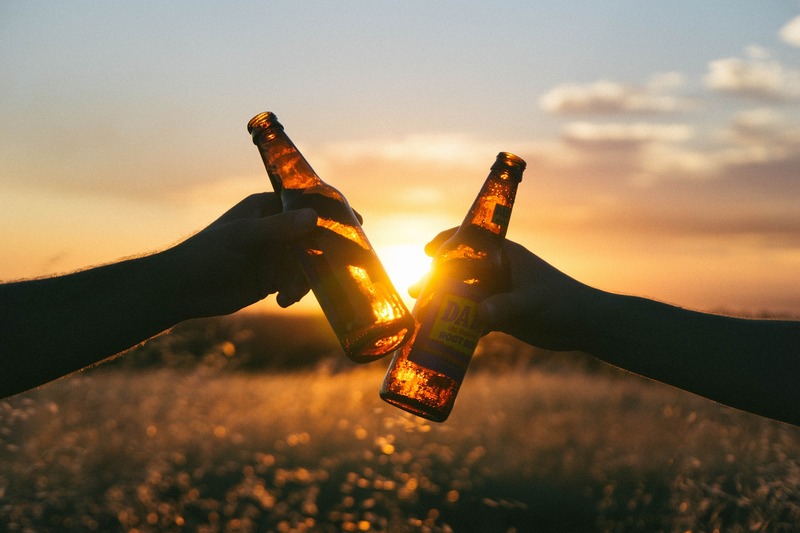 My pondering and observation have led me here… People drink socially because they want to let their guard down, to feel more connected to others, which generally happens after the first drink. But no one stops at one drink. The dichotomy begins to appear in the second drink, when the ability to connect with others, and even with your own body, start to diminish. Words begin to slur, and verbal connection is compromised. Eyes blur, focus is lost, and heart connection is compromised. Thinking gets fuzzy, and mental connection is compromised. After the first drink, the whole reason for drinking has dissolved into unchecked emotion, babbling communication, and liver damage. Dichotomy. My Grandpa was always known for telling amazing stories of his adventures. He was definitely a larger-than-life character, keeping our guests entertained until the wee hours of the night, without a drop of alcohol. This was the example set for me. The grown-ups were laughing and smiling, and fully present at all times. Blurry eyes meant it was time for bed. My distain for drinking isn’t because of a negative judgement, I just miss the connection of being fully present with people! When I encourage others to stop drinking, it’s my own inner child saying, “Don’t leave! I was having so much fun with you! Please stay present with me… it’s okay to be real without being numb. I want to stay connected.” But I also believe in free will, and I know most people’s parents set the example of social drinking. I don’t feel judgmental in any way, just sad that they feel alcohol will enhance the situation, when it just blocks true connection. So, I leave early, and usually read or meditate, so I can at least connect with me. Again, awareness is the key to everything. If you drink at all, ask yourself why. Is it just habit? Is it fear of connection or depth? Is it rooted in addiction? Is it tied to your beliefs about being an adult (good or bad)? Is it just what people do? Is that a good enough reason to keep doing it? Also, stay sober a few times and observe what happens to connection as the drinks flow. Then, at the next gathering, join in the drinking and really be aware of your reactions. Two things I can tell you without a doubt, no matter what the reasons for imbibing, alcohol lowers your vibration and damages your body. Period. It simply isn’t good for you, so figure out why it’s part of your lifestyle.